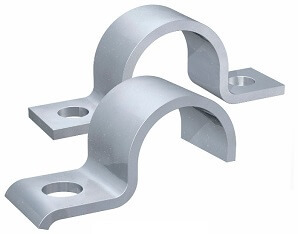 Stainless steel pipe clamps are the main product lines of Younglee’s pipe clamp factory. In industries stainless steel pipe / tube clamps usually refers to different series of steel pipe clamps made in material of stainless steels. 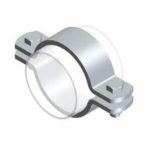 These series of pipe clamps are usually designed for fastening tubes and pipes where the environment is under corrosion. Stainless steel pipe clamps are mostly used in application where there is corrosion, due to the good corrosion resistance performance of the stainless steels. 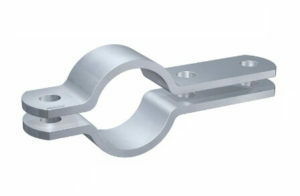 Due to its high corrosion resistance, the surface of stainless steel pipe clamps is smoother than carbon steel pipe clamps, which will provide tight clamping to the pipes and tubes, also, this will make the pipeline system more beautiful. 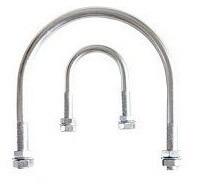 Stainless steel pipe clamps can have much longer service time that carbon steel pipe clamps. The steel pipe clamps made of carbon steel or some alloy steel will be rusty after some time, even if they are galvanized or in HDG (hot dip zinced) surface, when rusty, the steel pipe clamp will be failure soon. And this will might cause the failure of the pipe system. 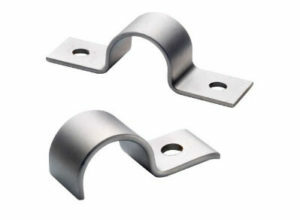 Stainless steel pipe clamps are usually supplied in stainless grades as below. Other austenitic stainless steels or duplex steels on request. Stainless steel tube clamps / pipe clamps are mainly used to fastening tubes and pipes in industries with environments where there is corrosion, such as ship building, offshore industries, paper industry, chemical, oil and gas, mining and so on.